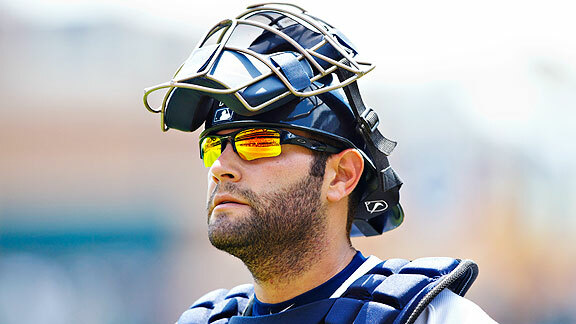 Will Alex Avila Have A Job When He Returns? 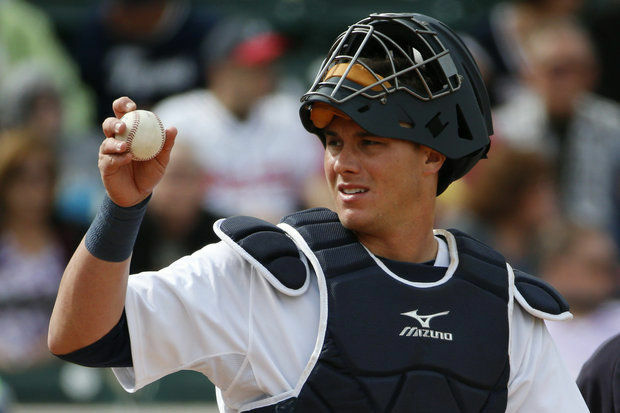 To rephrase the question further…with the way that rookie James McCann has stepped up and knowing Bryan Holaday is a serviceable backup, should an oft-injured, poor offensive performing Avila really have a job when he returns from the 15-day disabled list? It is only a small sample size so far, but Avila and McCann have essentially the same amount of plate appearances to date, with Avila coming to the plate 74 times and McCann 79 times. Alex before he hit the DL was hitting .200 with a .659 OPS, 3 extra base hits (2 2b/1 HR), 8 RBI, and 21 k’s. McCann on the other hand is hitting .293 after struggling early with a .734 OPS, with 6 extra base hits (4 2b, 1 3b, 1 HR), and 7 RBI’s, and striking out 15 times. In pure hits, it’s 22 to 12, so the numbers are saying that Avila walks a bunch more, however McCann puts the ball in play more. So this sets up for a platoon as planned right? Lefty-swinging Avila will hit against righties and righty swinging McCann will hit against lefties. The splits do show that Avila should never hit lefties (1 for 15) and hits righties at a .243 clip. McCann surprisingly enough hits both well, with a .273 average against lefties and a .302 average against righties. The extra base power for McCann is split nicely as well, with his 4 doubles coming against right handed pitchers and his triple and homer coming against left handers. Now I can’t say I’ve seen great defensive stat categories for catchers other than percentage for throwing out runners, but when looking my go to defensive stat for other positions Rdrs (defensive runs saved above average), McCann is a -2 and Alex is a +1. When taking in to account the percentage of runners thrown out, McCann has actually thrown out 40% so far where Avila is just above league average at 33%. Naturally, teams are going to run on a rookie more than an established veteran. Pulling it all together, both players have a 0.3 WAR so far this season which is measuring defense, offense, and base running, so if WAR is your end-all-be-all, then your answer is set. Yeah, Avila will have a job in Detroit as long as he wants it. Injuries may force him into retirement at some point, also, but McCann has earned the job and should be left in regardless. I’m sure Avila will get a front office or coaching job in the organization, if he decides to walk away, also.